The incontrovertible fact is the World is modifying with the involvement of new and digital techniques and technology which promptly brought ease in the life. Earlier before, fitness has never been an easier task but is now revolutionized into an Online yet easier personal Training programs, hence now there is no need to visit your far or nearby fitness and workout centers. There are endless benefits one could get working with the Online Personal Training and support for the fitness, want to know? Just scroll down to get! 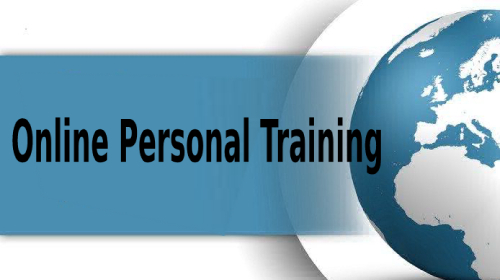 First, among all, online personal training and fitness training is “Time-Saving.” Both trainer and the performer can make a right use of the time when switching it to online. Most of the gym-goers sometimes do not get enough intervals for other jobs, and the result is merely tiredness. This online program won’t just allow you to complete other important task but will grab you a complete consideration of guider onto you! Isn’t it better to have your coach more than holding your water bottle? Let this new invention save your time and allow you to take a deep sigh for your family and friends. Another benefit we found is it’s effectively Cost-saving! It is much cheaper than to go to the gym or hire a personal trainer in your home. It counts as a one-time payment to your personal trainer at home for an hour is equals 1-week online personal training classes. So, it isn’t a bad deal to save your coins this effectively with more obvious results and consideration. While in the gym, you have to pay for a month and it may be that you don’t attend your classes for 7 or more days due to strikes or your important chores, then what about the fee you have given one time? Hence here online training works! You only need to pay when you are assured with your classes. Mind it the world is ever-changing on a daily basis. You have to know how Technology change the world For Good. This is an amazing benefit one can avail. It’s not about that particular gym is near your home that restricts you choosing your favorite “Trainer”! Most of the gym-goers often don’t like their trainer because of many reasons and also they cannot replace them according to choice. While in Online Fitness Training Program you may search for the best as wish moreover, after experiencing one you can move to other. What is most hated about the gym’s trainer is he is too busy because there isn’t just you need his heeds but many others. You need to wait long to let your trainer arrives at you which makes you even stay longer for 3-4 hours in the gym, isn’t it odd? So, let you switch it online that can make you free within an hour with the complete support and without being speedy for the next client. When we talk about the gym, then there are two kinds of people one who is sincere with their training and the other who takes this place as excursion and makes a companion to pass their time. While in the case of the online training program, there are only those sincere with workout and harvest obvious fine results in shorter time one could pay to the gym. Hence if you want finer consequences on your body and willing to build it perfectly, don’t scratch your head just move through an onlinetraining session.